MANILA, Philippines — Responding to what he called a “public clamor,” President Duterte yesterday brought the police back to his war on illegal drugs, almost two months after he barred them from joining the campaign following the deaths of teenage suspects. Presidential spokesman Harry Roque said Duterte had signed a memorandum order directing the Philippine National Police (PNP) to support the Philippine Drug Enforcement Agency (PDEA) in the conduct of anti-narcotics operations. The police can now join anti-drug raids but have to coordinate their actions with the PDEA, which will continue to lead the campaign. “They (PNP) will participate now, whereas in the past all of them cannot do anything,” Roque said in a press briefing at Malacañang. “While PNP and other law enforcement agencies will provide active support in the government’s campaign against illegal drugs, PDEA shall continue to be the overall lead agency pursuant to Republic Act 9165,” he added. 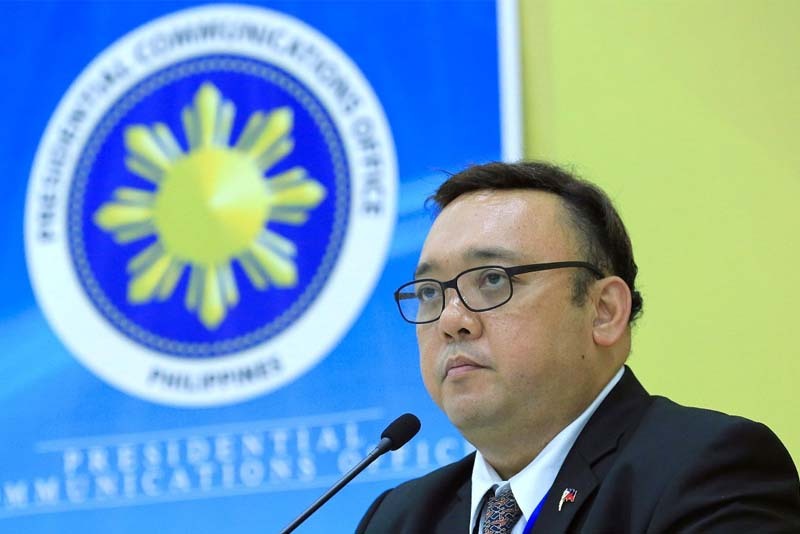 Roque said the President was also responding to the public clamor to restore the role of the police and other law enforcement agencies in the crackdown on illegal drugs. “There has been a notable resurgence in illegal drug activities and crimes since the PNP and other law enforcement agencies were directed to leave to the PDEA the conduct of all anti-illegal campaigns and operations,” he said. The still unnumbered memorandum order supersedes an Oct. 12 memorandum declaring the PDEA as sole agency for the war on drugs. Duterte barred law enforcement agencies from joining anti-drug efforts after the death of two teenage suspects at the hands of policemen sparked outrage last August. Caloocan policemen claimed that Kian delos Santos, 17, was a drug courier who violently resisted arrest but witnesses said he was executed. Carl Arnaiz, 19, was allegedly shot dead after robbing a taxi driver but the victim later disowned the affidavits attributed to him. In his new memorandum order, Duterte said the PNP was barred from joining anti-drug operations because of allegations of summary killings. “The issuance of the said memorandum was then to pinpoint precise accountability and was prompted by allegations from some sectors that summary killings of anti-illegal drug suspects have been perpetrated by law enforcement agencies, including the PNP,” the order read. It was the second time Duterte restored the PNP’s role in the anti-illegal drugs crackdown. Last January, the President ordered the PNP to suspend its anti-drug campaign following the outcry over the kidnapping and murder of South Korean businessman Jee Ick-joo by policemen. The businessman was said to have been kidnapped by members of the PNP Anti-Illegal Drugs Group in Angeles, Pampanga on Oct. 18, 2016. He was said to have been strangled to death inside Camp Crame, main headquarters of the PNP. Witnesses said police suspects had Jee’s body cremated at a funeral parlor, his ashes flushed down a toilet. The PNP resumed its anti-drug operations after two months. Roque clarified that the President was not dissatisfied with the PDEA’s performance in the campaign against narcotics. “I don’t think (he) is not satisfied but it is saying that we recognize lack of resources when PDEA is lead agency, we have like 2,000 manpower,” he said. “The President recognizes the significant strides PDEA has made in the government’s anti-illegal drugs campaign but it has been seriously hampered in performing its huge mandate by lack of resources, specifically agents and operatives who can penetrate drug-infected areas down to the municipal and barangay levels,” the presidential spokesman said. Roque’s statement went against his previous claim that Duterte was not satisfied with the PDEA’s efforts. “Because the President returned it (to the police), he must not be satisfied. He wants more,” Roque said in a press briefing last Nov. 23. “I think a decision will soon be made. But like you said, he did make the statement that, ‘I may have to return it to the police to avoid the problem from worsening,’” he added. A total of 117,268 drug personalities were arrested and 78,619 anti-drug operations were conducted from July to November, according to PDEA. The agency declared 4,295 barangays drug-cleared and seized 2,525.77 kilos of shabu or methamphetamine worth P18.9 billion in the same period. In a speech before overseas Filipino workers, Duterte reiterated his commitment to curb the proliferation of illegal drugs in the country. He also chided human rights advocates who keep blaming him for the alleged extrajudicial killing of suspected drug offenders. “The bleeding hearts, the religious, the priests and bishops, they say ‘Life is sacred.’ I said ‘there is no problem with that.’ My problem is I do not want you to make Filipinos crazy during my time,” Duterte said. “Four million Filipinos addicted to drugs and shabu are no longer normal Filipinos. Once you are contaminated with shabu, there is no more rehabilitation because shabu shrinks the brain,” he added. After Duterte brought them back to the war on illegal drugs, the PNP said yesterday it will seek clarification with the PDEA on the extent of their participation in the anti-drug campaign. Sought for comment on Duterte’s order, PNP Directorate for Operations chief Director Camilo Pancratious Cascolan said the police force will coordinate with PDEA. “We will talk with PDEA first regarding the extent of PNP’s operations,” Cascolan said. PNP spokesman Chief Supt. Dionardo Carlos said the police will comply with Duterte’s directive. “We will follow the order of the commander-in-chief and chief executive,” Carlos said. PDEA director general Aaron Aquino welcomed the PNP’s return to the anti-drugs operations. “PDEA welcomes the decision of the President. It has been the desire of PDEA that PNP will return in the fight against illegal drugs,” said Aquino in a statement. Aquino said PDEA is undermanned and does not have all the resources, admitting the agency needs the support of the PNP and other law enforcement units. officials, five personnel from the military and six government employees were arrested from Oct. 11 to Dec. 4. PDEA only recorded one drug suspect killed in 2,161 operations. The agency also seized P104.10 million worth of illegal drugs during the same period, including 11.93 kilograms of shabu.